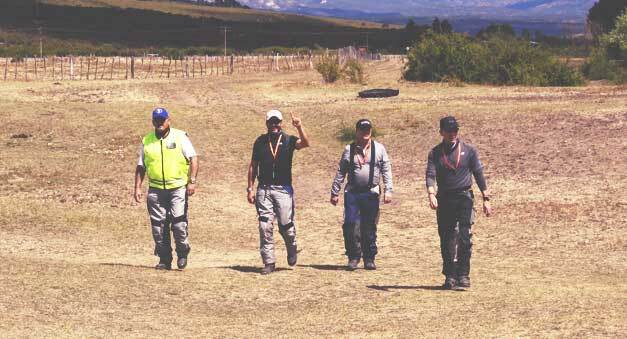 Self-Guided "Fly & Ride The Best of Northern Patagonia"
Contact Eric About Taking a Fly & RIDE Trip in Patagonia! Carretera Austral, the famous "Highway to the South!" Rest day Options: Your choice on a self-guided tour! Either stay in Bariloche for the big city, ski-resort town feel, or continue onward to Futaleufú, Chile for whitewater rafting, kayaking, fly-fishing, hiking & exploring! 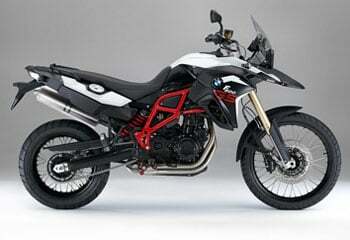 Terrain: approximately 70% pavement, 30% gravel, dirt, light sand and possible mud/gravel mix. This makes for about 40% of total time spent being off-pavement. Rest day Options: Your Rest Day on this Self-Guided Tour means you can enjoy the big city feel of Bariloche, or continue to Futaleufú for whitewater rafting, kayaking, fly-fishing, hiking, shopping, & exploring! 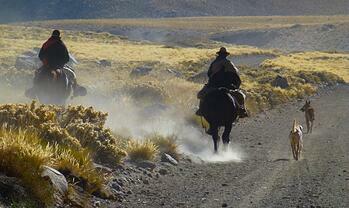 Contact Us Here To RIDE Self-Guided in Patagonia! 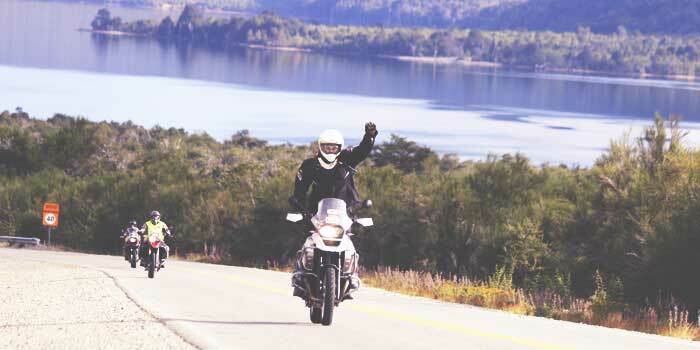 "Fly & Ride The Best of Northern Patagonia" means you just show up with your riding gear and personal documentation, and your motorcycle rental and hotels are already waiting for you! 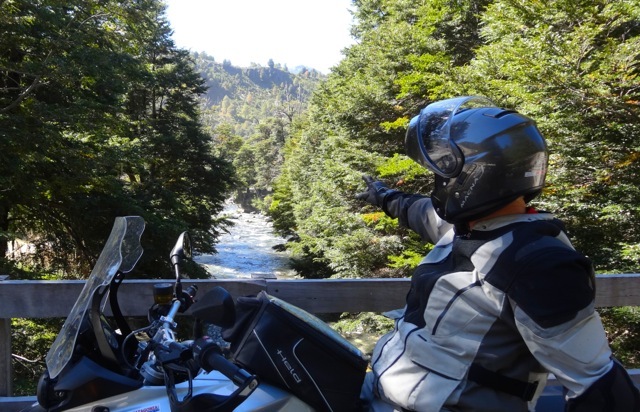 The BEST OF NORTHERN PATAGONIA motorcycle route is one we developed only a few years ago after further discovery of stunning scenery and routes in northern Patagonia. Basically the same as our Guided tour package of the same name, this dual sport route takes you along 8 active volcanoes, through stunning scenery across the Andes Mountains of Chile and Argentina, via routes along 48 pristine lakes and visit 10 National Parks and Reserves, and a camera-filling motorcycle adventure that is not to be missed. 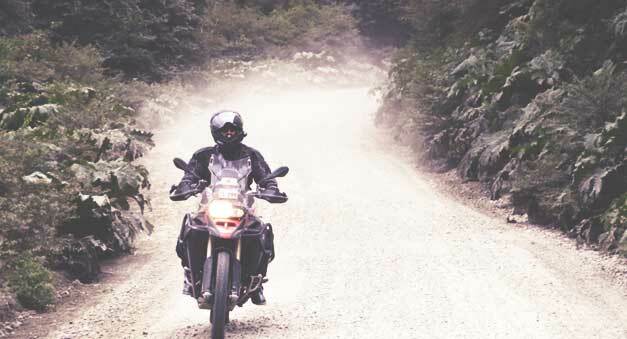 In addition to experiencing all of this, the famous RUTA 40, the Carretera Austral and the Panamerican Highway all make for an adventure riding experience in Patagonia that will have most riders wondering, "Why didn't I do this before?!" After a one-hour shuttle ride from Temuco, you’ll reach Pucón, a charming mountain town nestled at the foot of Volcano Villarrica in the breathtaking Chilean Lake District. 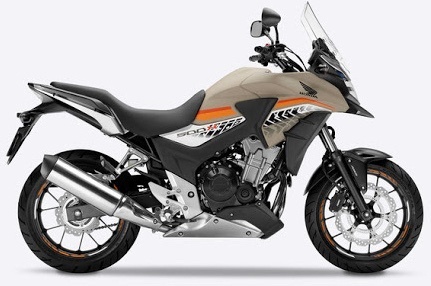 Your hotel is included with the "Fly & Ride" package, so get checked in to your room, and make sure you're in contact with our Fleet Manager about getting set up with your motorcycle either today or first thing the next morning. 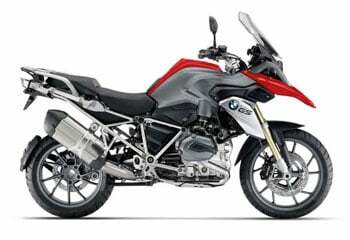 Once you're set up on your motorcycle rental and all questions have been answered, it's time to head out into Patagonia! Leaving the active Volcano Villarrica and National Park Villarrica to the right, the climb into the Andes Mountains begins along the border of Chile/Argentina. Later riding right through National Park Huerquehue to Playa Negra, your camera should be ready to go at this point. Enjoy Lago Caburgua in front, Volcano Villarica in the background, and all the gorgeous forestry around. After lunch in Conco, enter National Park Conquillo where 3 beautiful lagoons await. Riding along old lava flows of Volcano Llaima and through forests that are home to 1000 year old Araucanía Trees, this is a fantastic first day of riding on challenging gravel roads with many photo stops. Settling into the night near Curacautin, the hotel and dinner options await. Yesterday was a fantastic day of challenging riding and stunning landscape, but today it gets even better. The ride goes up along the base of the active Volcano Lonquimay and Crater Navidad where we’ll follow its latest lava flow from 1988. 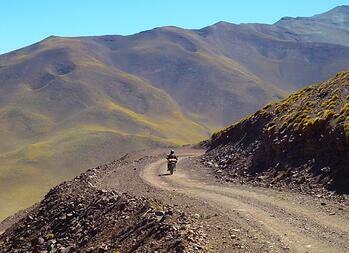 As if the black-lava landscape isn’t surreal enough, crossing the Cordillera Lonquimay produces more stunning views. 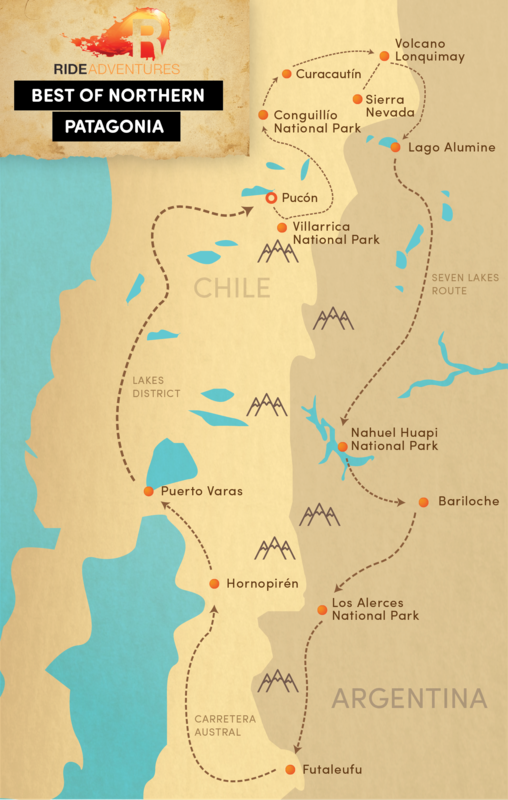 Along the Sierra Nevada, follow three beautiful lagunas, and reach Paso Icalma for crossing from Chile into Argentina! A short ride then leads to the destination of Villa Pehuenia at the shore of Lago Alumine, hopefully in time to catch a beautiful sunset over the lake. 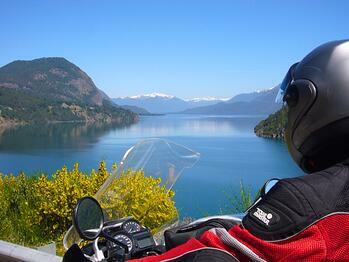 Leaving Lago Aluminé, the scenery changes dramatically on the ride to the Swiss style town of San Martin de los Andes. Now you’ll get a feel for the vast emptiness of the Argentina pampas region seeing see Volcano Lanín (3728m) from a distance and probably deal with some of the typically forceful winds on the Argentine side of the Andes Mountains. After lunch, enjoy the famous “Seven Lakes Route“ through National Park Nahuel Huapi, and many photo stops later we reach the ski resort town of Bariloche for the night and the first chance for an Argentine “asado” (barbeque) in this lively town. Day 5 – REST DAY in Bariloche, Argentina or go ahead to Futaleufú, Chile for whitewater rafting or fly fishing! 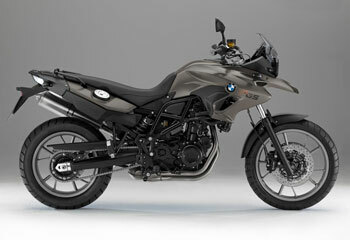 Even the most conditioned riders need to rest now and then, so it’s important to have some off-motorcycle time. For those who still want to remain active though, the charming ski resort town of Bariloche offers plenty of local culture, shopping and restaurants with great views of Llao Llao and Lago Nahuel Huapi. Leaving Bariloche, first follow the legendary Ruta 40 as sweeping turns take you through rural Argentina. Later, enjoy a detour through “Parque National los Alerces” where sandy turns through “Fitzroya” trees (cousin to the Redwoods found in California) make for more scenic riding. Beautiful lakes and mountains guide us through the National Park, then crossing the Andes again, we'll cross the border back in Chile for the night in the famous whitewater-rafting, kayaking, and fly fishing town of Futaleufú. Today the gravel road follows the whitewaters of Rio Futaleufu and the Sierra la Ventana. Just past Lago Yelcho, you’ll reach the world famous “Carretera Austral,” and some of the most picturesque scenery in the world. Riding through Parque Pumalin, owned and preserved by the late Doug Tompkins, founder of the North Face clothing company, more interesting history and status of Patagonia will be revealed. After stopping in Chaiten, the town that was destroyed at the 2008 volcano eruption, take the ferry to Hornopiren where suddenly you’re on the seawater of the Pacific Ocean! Two scenic ferry rides will take us through the Reñihué and Coman Leprepu Fjords, a major center point of Chilean salmon farming. Today's ride passes through National Park Hornopiren and follows the shoreline of these Pacific inlets to start things out. Across the fjord can be seen Parque Nacional Alerces/Andino near the Cochamo Valley, which many people call it the “Yosemite Valley” of Chile. Pressing on to Ensenada on Lago Llanquihue on your way to Lago Todos los Santos, stop at Petrohue waterfalls and then a fantastic asphalt road (riding paradise) takes you up Volcano Osorno. 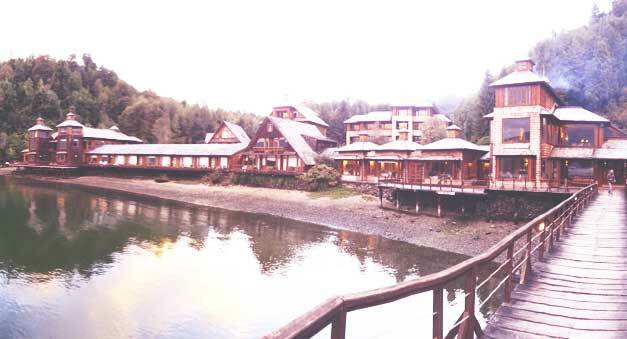 At the base of the Ski resort there, you can enjoy a beautiful view over Lago Llanquihue before descending to the touristy town of Puerto Varas on the lake shore of Lago Llanquihue for the night. Wake up with a fantastic view of Volcano Osorno across Lago Llanquihue! Following the lake through Frutillar (where many Germans settled in the late 1800's) and Puerto Octay, finally some moments can be spent on the Panamerican Highway. On your way back to Pucón, follow the shoreline of Lago Panguipulli, Lago Neptune, Lago Calafquen and Lago Villarrica, where the Chilean Lake District holds such a simple and pleasant beauty. The ride down into Pucón might bring on a case of mixed emotions as you look back at the amazing trip through Northern Patagonia. Just think: there's still more of Patagonia to be uncovered! If you absolutely must leave on your last day, we do understand you’ll be fighting the temptation to skip the flight. 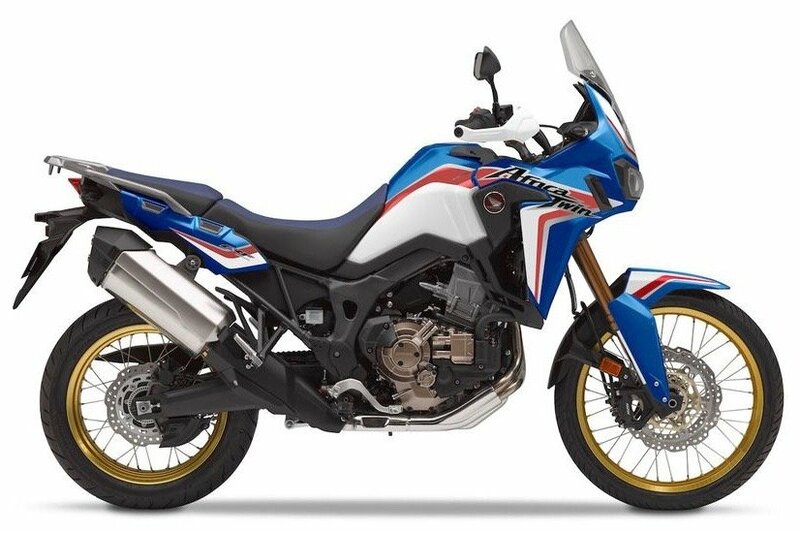 Chile has so much more to offer and we have so much more to help show you, so we hope you enjoyed yourself and will return for other Patagonia motorcycle trips, because there's still plenty more to experience! 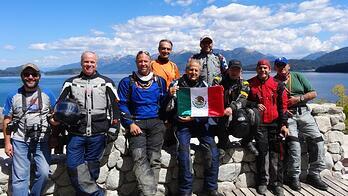 CONTACT US about joining a "Best of Northern Patagonia" motorcycle tour in South America! Interested in the Best of Northern Patagonia Tour?